Email is a great way to communicate efficiently across time and space. But don’t let that convenience invite bad etiquette. Make sure you’re sending the email to the correct person. Don’t just guess that you are contacting the right person. And if you have to guess, offer a brief justification of how you arrived at that guess to make your inquiry more sympathetic. It also makes it genuinely personalized when you tell the person why you contacted him/her specifically. 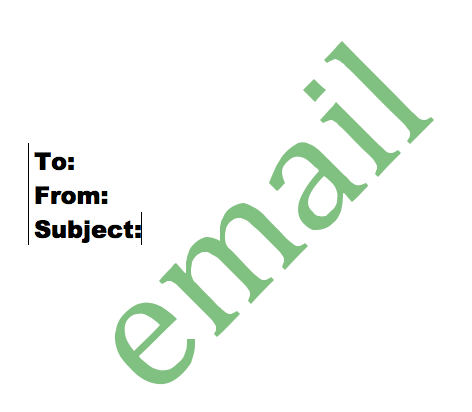 Even worse than randomly guessing to whom you should send an email, is sending it to everyone. A mass email (such as a listserv post) might be widely ignored–everyone assumes someone else will answer it. Likewise, don’t write one message and then cut-and-paste it to an entire list of people as if you were reaching out to each person individually. Nowadays nobody believes that email is personal. And an email like that will probably just annoy the recipient (maybe making him/her annoyed enough to recognize your name in any future interactions). Only an exceptionally nice person will bother to answer that email and point you in the direction of the correct person. Try to use correct titles. Since the first thing people see in the salutation is the title, make sure you check if the person uses a title like “Dr.” or “Professor” just because it might catch them off guard to see a domestic title (like “Mrs.”) in a professional context when they have a professional degree.